I don't like people talking to me about the Champions League. It wasn't me, but my team that won. When [Salomon] Kalou put the cup on my lap in the bus, I asked him to take it away immediately. I didn't want to touch it because just as with the Champions League I had no part in it at all. Chelsea really wanted me last summer and paid a lot for me but after a while I thought, are you just throwing money around? Fast forward a year, and after joining West Brom for a season long loan, on matchday 38, he came on as a second half substitute and scored a hat trick against twenty time champions Manchester United (also Fergie's last game in charge). The hat trick helped his team level United 5-5 after being 3-0 down. A nice way to say good bye to Fergie and Scholes indeed! Having scored 17 goals in his first loan spell in 35 appearances, almost half of them as substitutes, there is no doubt that he is Premier League material. However, what remains in doubt is his future. 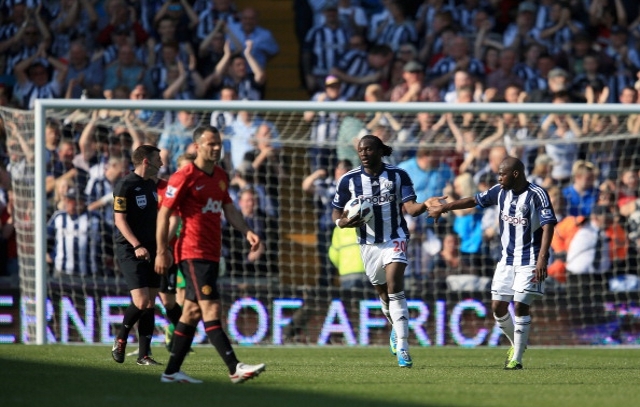 Lukaku could extend his loan spell at West Brom, which would be beneficial for both clubs. However, West Brom haven't qualified for Europe and it would not be an upgrade for Lukaku. Lukaku has stated that he wants European exposure for the next season. Going away to another country for a season long loan would not make sense, as Chelsea would want him to get more experience in the Premier League. One option is to remain at Chelsea. The only forwards at the club are Fernando Torres and Demba Ba, none playing at their potentials. It would not take much time for Lukaku to overthrow them. However, with Mourinho coming back, it would be surprising if another forward is not signed. 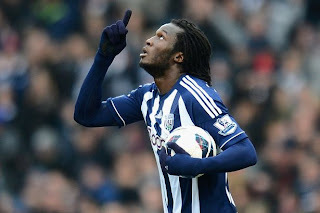 With a marquee signing, Lukaku would be back to the bench, and that would only make him cranky! Out of the teams in England with European exposure, the Manchester clubs and Arsenal would not be willing to or be in a position to give him a starting XI position. Going to Tottenham would not really help as Villas Boas and Lukaku weren't really friends during their time at Chelsea. Liverpool might want a striker though. With Suarez banned for another six matches, and Borini (another Chelsea reject) not really suited to the Premier League, Lukaku would do well there. Secondly, a move to Swansea would also make sense, as they lack a proper finisher, with Michu playing in the false 9 position for them all season. With the original Bison offloaded to Real Madrid for the year, I guess it is time he transfers his powers to a new prodigy! Let's see what the future holds for the future Didier Drogba. Mind you, he hates being compared to Drogba.